Witness turns your Mac into a home alarm system, using itsiSight camera as a motion sensor. If motion is detected, Witness sends mugshots and video to your iPhone or iPad. Some apps offer a live video stream. While that sounds cool at first, it has many disadvantages. In contrast, Witness uses advanced motion detection to notify you right away when an intruder is detected. If nothing happens at your house, Witness remains silent. No need to interrupt you when everything is just fine. Witness can be set to restrict motion detection to human faces. This may come in handy if you have pets running around the house. Witness uses the location of your iOS device to automatically arm your alarm when leaving your house and to disarm it upon your return. Watch live images from any Mac in your alarm system. There are no limitations on how many Macs you can add to a single Witness account: you could add an entire computer lab. A single-user license is $39.00 U.S. Witness requires a Mac with a built-in iSight, running Snow Leopard (Mac OS X 10.6). Sorry, Mac only-no Windows. Read entire NYLJ article by Andrew Keshner. Several bar organizations are supporting the effort of a suspended Long Island attorney to challenge in the state’s highest court what he describes as the overly strict approach of the Appellate Division, Second Department, to enforcing disciplinary rules governing attorney escrow accounts. The New York State Trial Lawyers Association, the Nassau County Bar Association, Matrimonial and Family Law Bar Association of Suffolk County and the Bronx County Bar Association all plan to file amicus briefs urging the Court of Appeals to grant Mr. Galasso’s motion for leave to appeal. 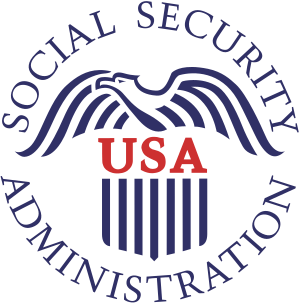 The Social Security Administration has announced the first electronic service that must be used by representatives who request direct fee payment. 77 Fed. Reg. 4653 (Jan. 31, 2012), and revised on March 8, 2012. 77 Fed. Reg. 13968. http://www.gpo.gov/fdsys/pkg/FR-2012-03-08/pdf/2012-5673.pdf. Beginning March 16, 2012, “appointed representatives [will be required to] file certain appeals [requests for reconsideration and requests for hearing] using our electronic systems in matters for which the representatives request direct fee payment.” This announcement applies to the filing of requests for reconsideration and requests for hearing in Title II and SSI disability claims. On March 8, 2012, SSA revised the original Federal Register Notice to clarify that the electronic filing requirement also applies to Form i3441, the Disability Report – Appeal. SSA’s March 7th webinar on the requirement and filing appeals online is available “on demand” at http://www.socialsecurity.gov/webinars/FilingaDisabilityAppealOnline.html. These rules are effective for appeals filed on or after March 16, 2012. Postable – The easiest way to get people’s mailing addresses. Postable solves a simple problem: nobody seems to have anybody’s mailing address anymore. Email addresses and phone numbers don’t help when you want to send somebody an actual piece of mail. Whether you’re getting married and need to collect hundreds of mailing addresses, sending out Christmas cards or even if you just want to have a complete, up-to-date address book once and for all, Postable makes it extremely easy. They promise never use any piece of information submitted to this site for any reason other than to provide you with an amazing Address Book. Feel free to reach out to them on facebook and twitter. degree of risk they present for recidivism. of The Third Branch newsletter. Discover the latest breakthroughs in imaging magic, editing speed, and creative abilities that will soon be available in Adobe Photoshop CS6 software. Download the Photoshop CS6 beta and see for yourself how the world’s best digital image editing software is about to get even better. You and your feedback play an important role. Be a part of the Photoshop CS6 development process by sending us your feedback through the Photoshop CS6 beta Forum on Adobe Labs. Steven J. Baum, who led what was once New York’s largest foreclosure firm before it closed its doors last year, has agreed not to handle foreclosure cases for lenders and servicers for two years under a settlement agreement with the New York Attorney General‘s Office. Mr. Baum, his managing partner Brian Kumiega, the Baum firm and Pillar Processing will also pay $4 million under the deal. According to the attorney general’s office, between 2007 and 2010, the Baum Firm filed over 100,000 foreclosure proceedings and represented many of the largest servicers of residential mortgage loans. Pillar was formed by the firm to handle the bulk of the foreclosure processing. The attorney general’s office claimed that the Baum firm “repeatedly” filed legal papers in foreclosure and bankruptcy proceedings “without taking appropriate steps to verify the accuracy of” allegations, the lender’s right to foreclose or to file a bankruptcy proof of claim.